You are here: Home / Project Management Blog / Integration Management / What Does it Take Monitoring Project Progress? Monitoring Project Progress sounds simple. But many experienced project managers fail to do it correctly. They focus on budget and schedule most of the time. While problems appear and accumulate in other aspects of a project. Though I believe, it is not a rocket science. With a correct approach to monitoring the progress, you can increase the success rate of your project. You will be able to discover and correct all the issues proactively. That is the focus of today’s article. I will show you how to make it practical and simple. It includes all the efforts and activities to collect and analyze project performance data. 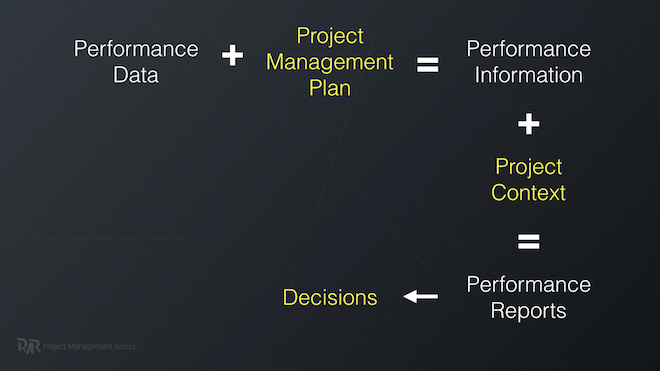 Performance Data is all the raw data generated by the project team in the process of executing project plan. For example, actual costs, finished work packages, defects found, time spent, vacation days used, etc. Out of context, this data means nothing. You cannot make a decision based on it. Performance Information is the data in the context of your project plan, project baselines, estimates, etc. In general, it is performance data compared with planned values. It is enough to tell if there is a deviation but not enough to warrant a change request. Performance Report is the information analyzed and compiled in a form that helps you to make educated decisions. Earned Value Management chart makes an excellent example of a performance report tool. Establish processes that will help you collect the correct data that can be converted into useful reports. How can you plan the required measurements? What metrics are crucial for your project? Just because you can collect data doesn’t mean you need to do that. Moreover, it doesn’t imply that it will be useful for decision making in the long run. There is little value in data that requires hours to collect and process. 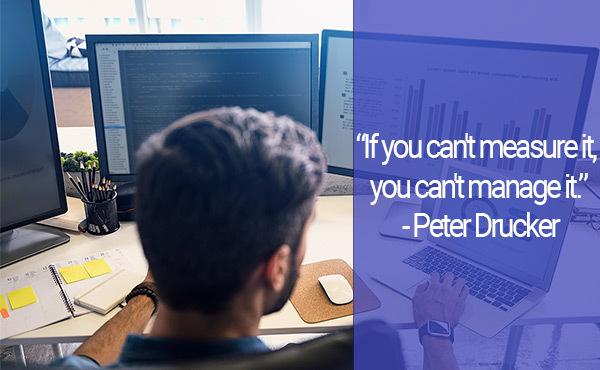 If you don’t have integrated software – simplify monitoring processes. The best case is when data collection is built-in into the workflow. For example, like it is in Atlassian JIRA, Microsoft VSTS or any other task tracker. You need to be able to collect the same data in the same format during the whole lifetime of a project. Otherwise, it may require lots of efforts to interpret and process the data. It is apparent to collect and interpret actual costs, time spent, and finished deliverables. But what should you do with stakeholder’s engagement, quality, and efficiency of risk response plans? 4. Can You Set Thresholds that Communicate Problems? Can you identify a deviation that will signal that you need to take action? If not, consider the efforts you need to spend to interpret the raw information derived from the data. The critical takeaway is that you need to think ahead to understand how to collect, how to use and how to interpret the data you have. As I said, time and money spent speak for themselves. You can compare the actual versus planned values. It is simple. However, I believe that it cannot help you solve the root cause of deviations. So, what else can you monitor? Scope Creep will show the amount of work you missed during planning. Quality of Requirements may show you how much scope creep you need to anticipate. It is a qualitative metric that indicates whether the collected requirements are sufficient to define 100% of scope. Percent of Accepted Deliverables can show your true progress. You know, you can have all deliverables 80% finished. But they are worth nothing to stakeholders in that state. Efficiency of Risk Response Plans will communicate whether a response plan addresses the risk in an efficient way and within limits of dedicated reserves. Remaining Management Reserves can tell how much uncertainties and unknown risks you can absorb before impacting the project plan. Level of Engagement will help you if you strategically manage stakeholders. You know their current level of engagement (and interest, authority levels). You also planned where you need to move each stakeholder’s attitude towards the project. Conflicts usually help you to track trends in behaviors of selected stakeholders. You might discover exciting interactions and dependencies between them. Satisfaction is essential when your organization provides services. It will help you manage your project in a way that ensures prolonged business relations with customers. Expectations will safeguard your project from failing on a finish line. Security is always important. You need to monitor how secure the information flows between the project team and other stakeholders are. Cost of a Decision is a monetary value of a decision you need to make on a meeting or by any other facilitation technique. Just sum up the salary rates of all participants and multiply by the time you spent to make a decision. Defects by Categories shows the areas of the project that require more of your attention. Defects reported after hand-off shows overall strength of your quality assurance efforts. Quality Assurance team should collect way more than that. However, it is a matter of your Quality Management approach. Issue Log is a chronological list of conflicts that you had with project team member and other stakeholders. It helps to connect seemingly unrelated events and define patterns in behavior. Also, it ensures that you don’t have unresolved conflicts. Personal Development Progress for every person on your project team. It will show you whether your people are interested in getting better, taking on new responsibilities, etc. Moreover, it is a secondary metric for an overall happiness and motivation of the team. Skills Star Map is a chart showing the skills and experience in different areas relevant to your project. You can also use it to track the progress of team’s development. Again there are so many metrics related to Human Resource Management. But it doesn’t mean that you, as a manager, need to monitor them all. Delegate majority to HR department. As I mentioned above, you need a cheap and effortless way to collect all this data. It should be in a format that you can efficiently process and relate to project plan. Daily Scrum Meeting is an excellent example of a first-hand information collection. Why is it so popular and powerful? It might not be enough to monitor project progress. But sufficient to start digging deeper after it. No one likes reports. Especially internal reporting to collect data. Nevertheless, you can make it effortless and valuable. If you end up with absolutely no shared task tracking system, you can track everything in emails and spreadsheets. Time spent: 6h <- This field shows commutative time spent. Remaining Estimate: 1h <- Notice that this field show revised estimate to finish the task. On larger projects, it will be overwhelming and micromanagement. However, on a smaller one, it works like a charm. You can then use this data to update master plans and take corrective actions if needed. If you use a WBS (and you should), you already have structured reporting system. Literally everything can be tied to a Work Package or a Delivery. Nowadays, I hardly believe in efficient project management without JIRA, VSTS, MS Project or any other tool. They have built-in features that help collect and analyze project performance data. There is a human factor here. People have to input actual data into the system. However, there are so many reasons they won’t do that regularly. So even with powerful software, you can fail to monitor project progress. You will need compelling reasons for the project team to track progress accurately and regularly. What about Earned Value Management, Milestone Management, and other tools? These are more of a “Controlling” part. It’s just another topic. Each of them. For now, you need to get clear on what data you can consistently get. Only then, you can select proper tools to control the project. Liked the article? Please share it on LinkedIn right away!